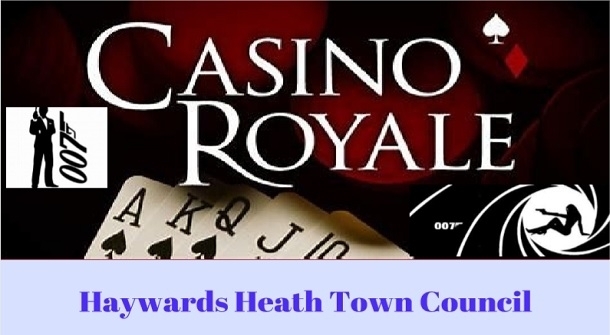 Haywards Heath Town Council are organising a Fantastic Casino Royale James Bond Style evening at the Town Hall. Cllr Jim Knight cordially invites you to his Mayor's Charity Night Licence to Thrill! Tickets £25 each incl of food, wine & beer, live music plus 1st set of chips for the fun Casino Royale!